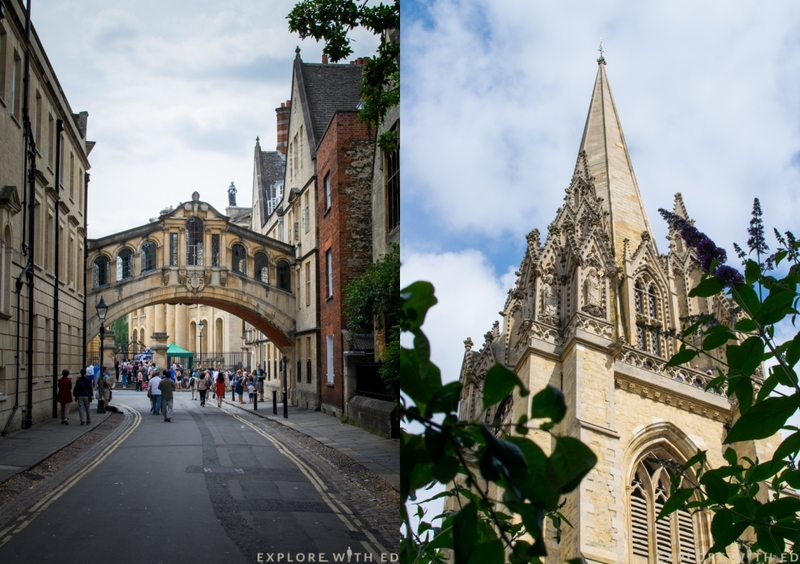 Want some handy, budget friendly tips for a wonderful weekend away in Oxford and Windsor? Read on! Why here? 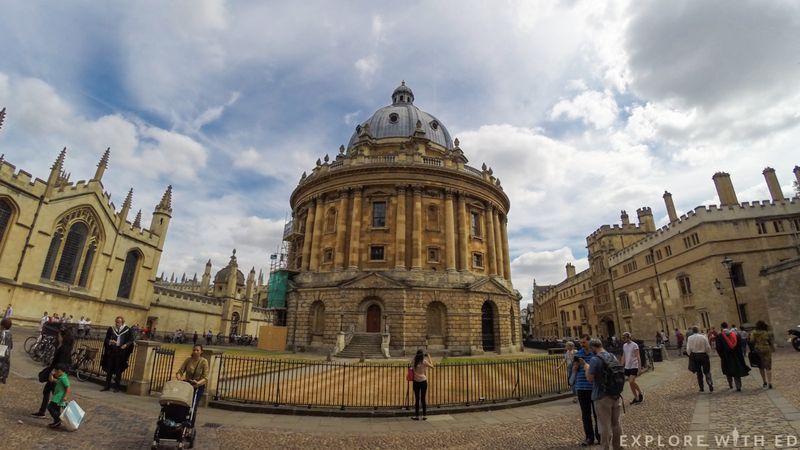 They’re undoubtedly some of the most impressive and historically significant places to explore in Britain – Oxford is famous for having one of the oldest and most prestigious Universities and Windsor is home to the largest occupied castle in the world! 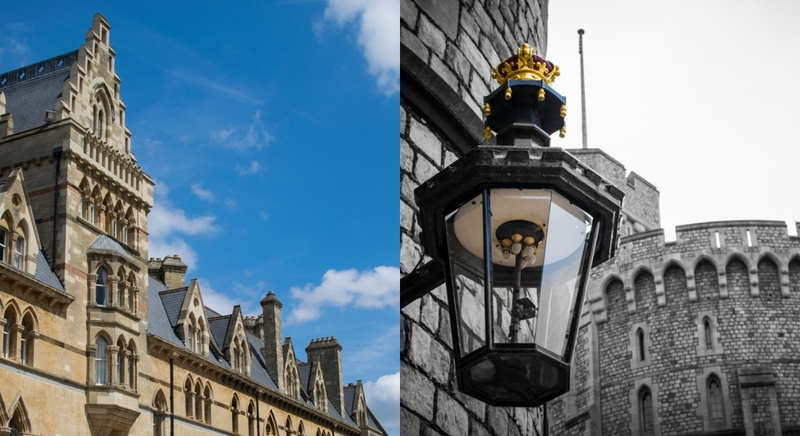 For international visitors, both locations are less than 90 minutes outside of central London with easy access via public transportation. 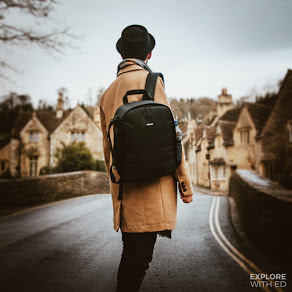 Around 1 hour by rail from London Paddington, Oxford’s train station is just a 10/15 minute walk into the centre where you’ll likely pass a medieval castle fortress. 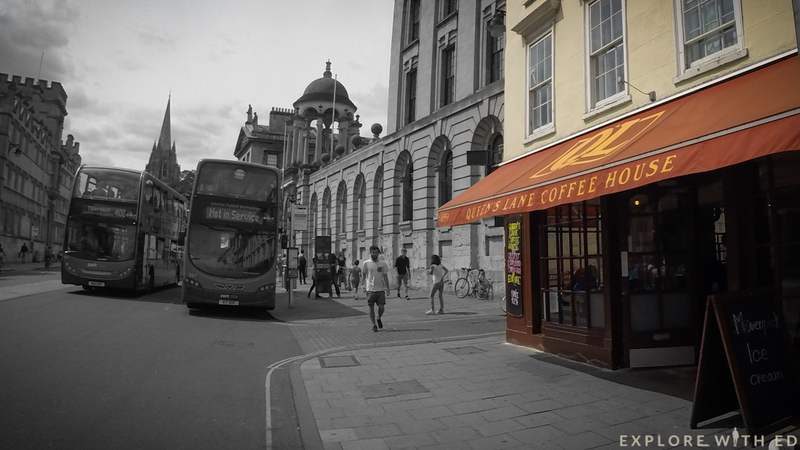 The bus station is close to Cornmarket Street, a shopaholics dream with access to a Covered Market, shopping centre and department stores. If you’re driving, there’s three car parks in the city centre. 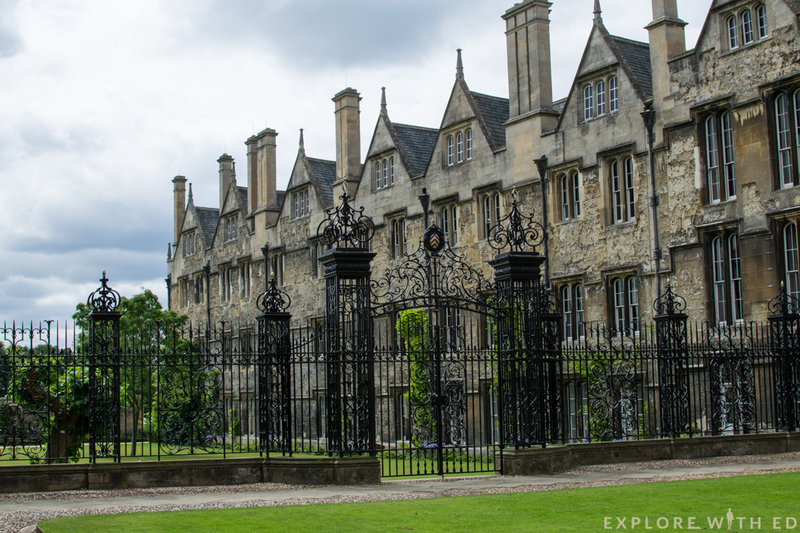 One of the most popular University sites to explore is Christ Church College. 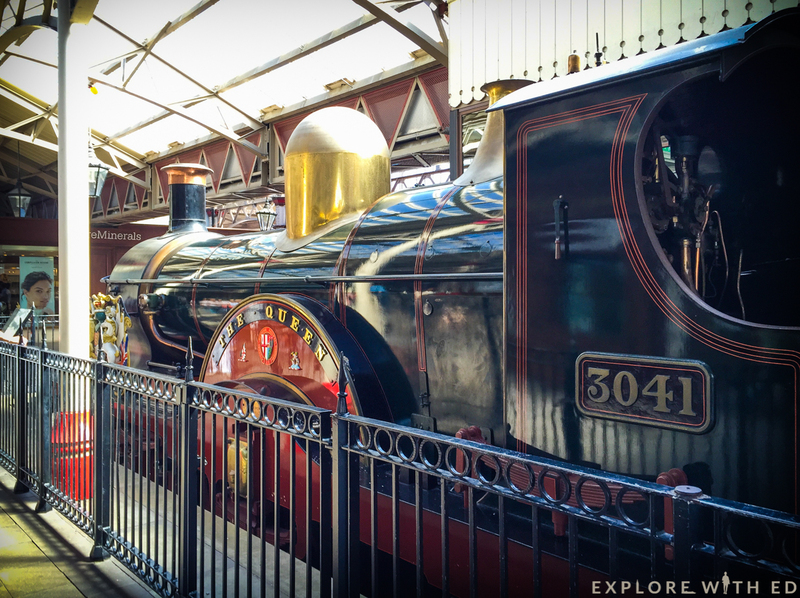 It’s one of the largest in the city and has been used in the Harry Potter films! As a working institution some parts may be closed – so be sure to check their website before you visit. 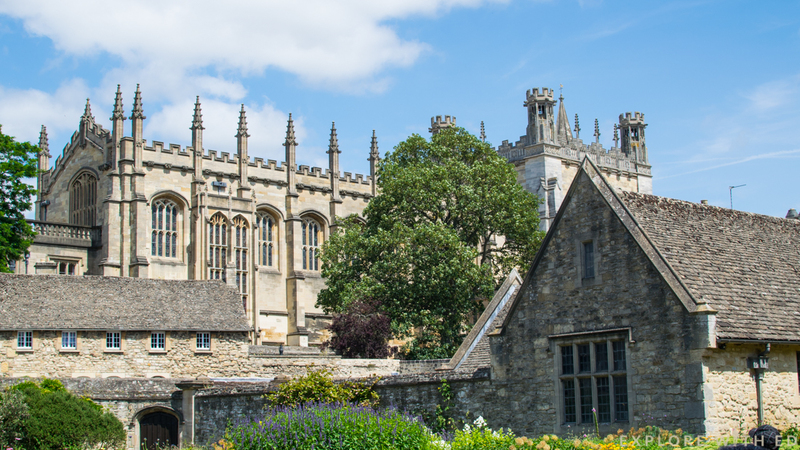 Nearby is also Merton College which I found to be much less busy and only £3 to enter. 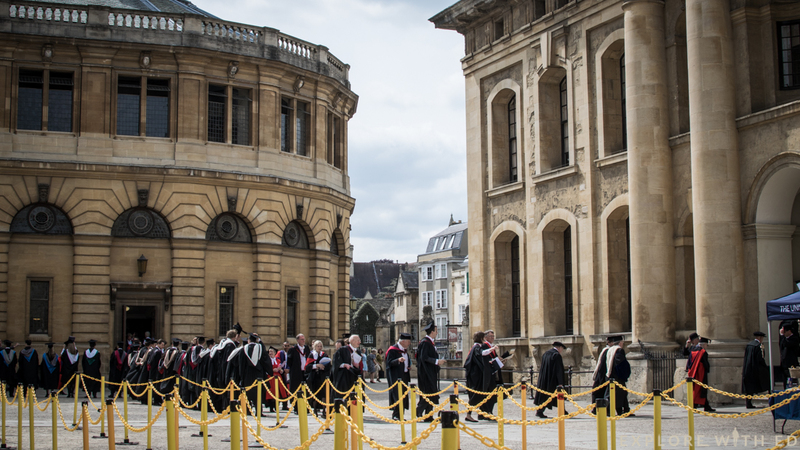 I liked how closely knit the buildings are here as you get a taste of Oxford University-life without eating up a whole afternoon. The old cobble flooring, narrow passages and spiral staircases are just like Harry Potter’s Hogwarts, it’s magical. 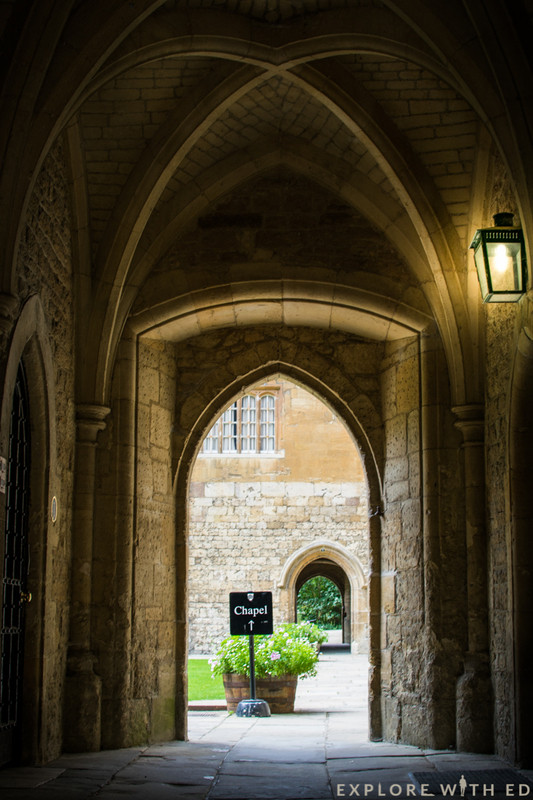 Merton College also has an abbey and the oldest continuously working library for students. After experiencing some of Oxford’s famous origins in the morning, I’d recommend a lunchtime stop off at Queen’s Lane Coffee House. 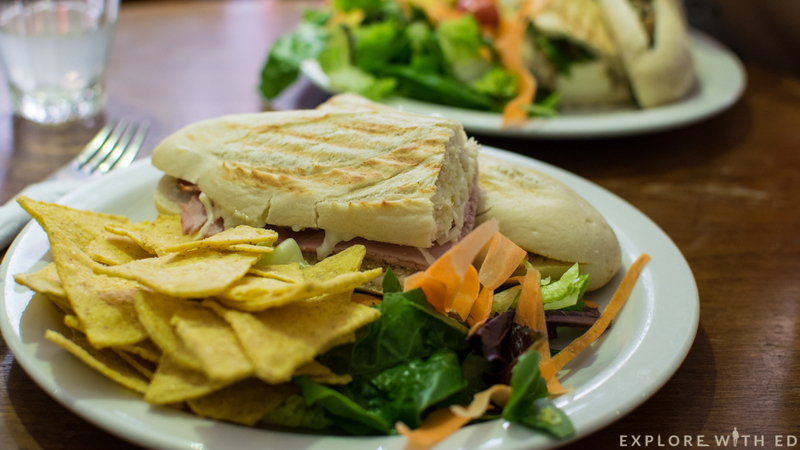 Perfectly positioned on the High Street, the cosy cafe caters for international tastes with American toasties, Full-English breakfasts and Greek-style salads to name but a few! 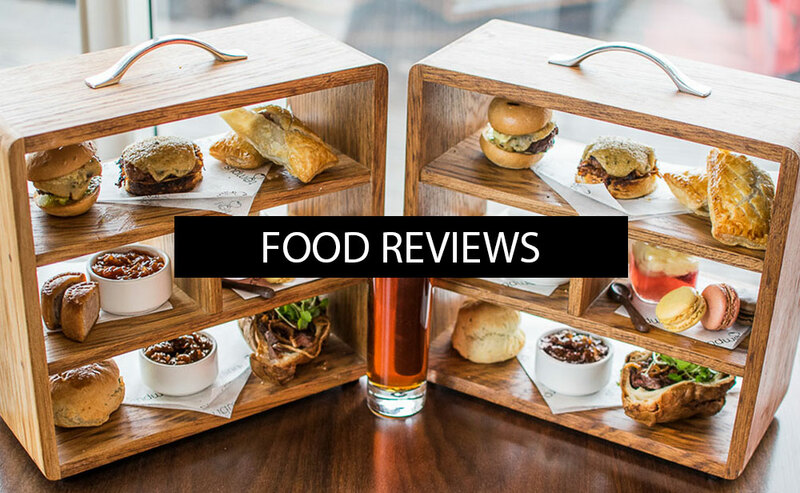 I really enjoyed their ham and cheese panini that comes with delicious cuts of meat, soft lightly-toasted bread, side salad and nachos. It’s really filling and very reasonable priced! 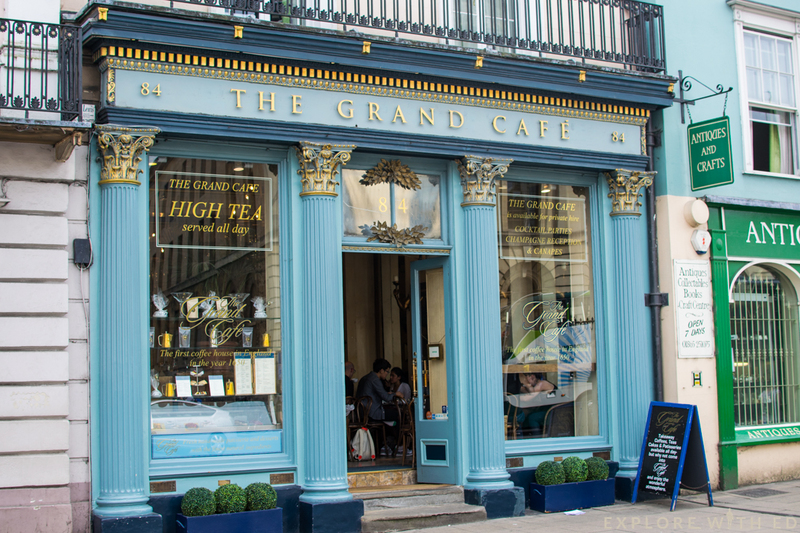 Across the road is The Grand Café (claims to be the oldest coffee house in England) – I’ve yet to try here but it seems very popular and I love the opulent style. After all that city touring (and eating), consider a mid afternoon cruise along Oxford’s river Cherwell via the Magdalen Bridge Boathouse. 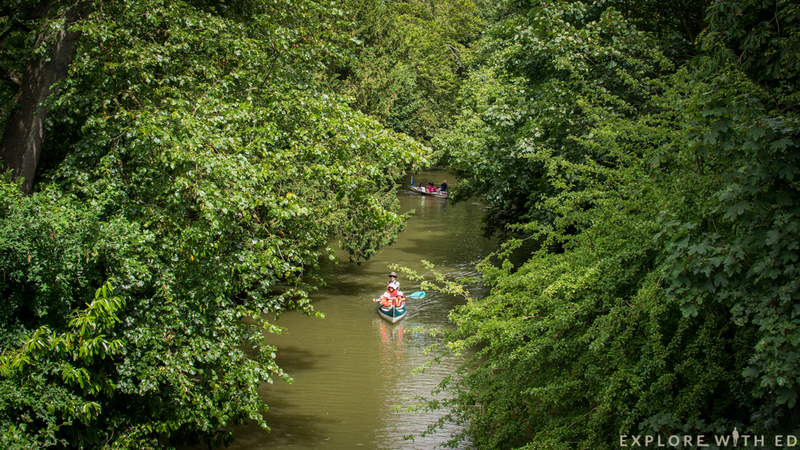 Here you can hire a punt or paddle boat and really get a sense of the local lifestyle. 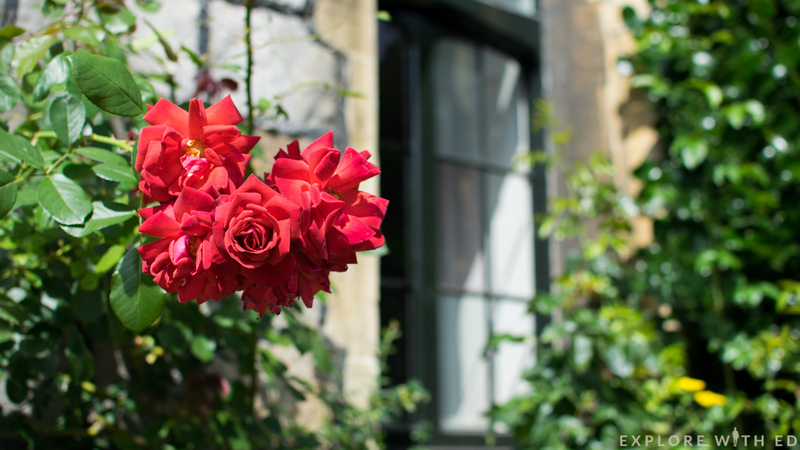 Another option nearby is Oxford’s Botanic Garden, that is also one of the oldest in Great Britain! Left: The Bridge of Sighs. Right: The University Church of St. Mary the Virgin. 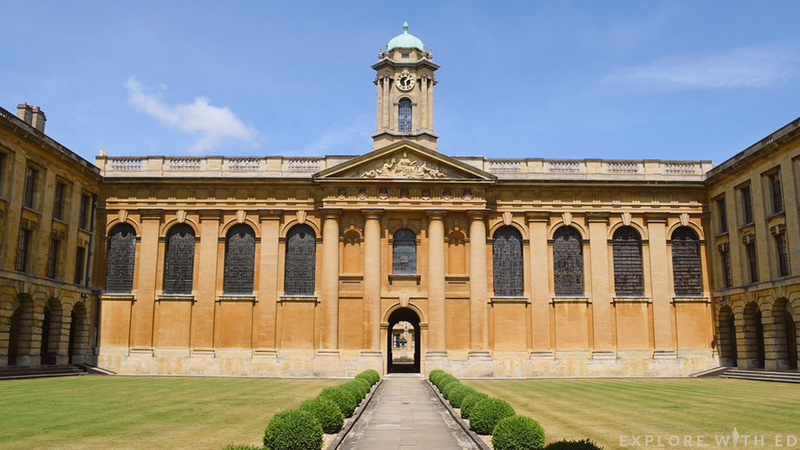 Marvelling at the magnificent architecture of Queen’s College, the Bridge of Sighs and Radcliffe Camera is a wonderful way to end a day in Oxford. 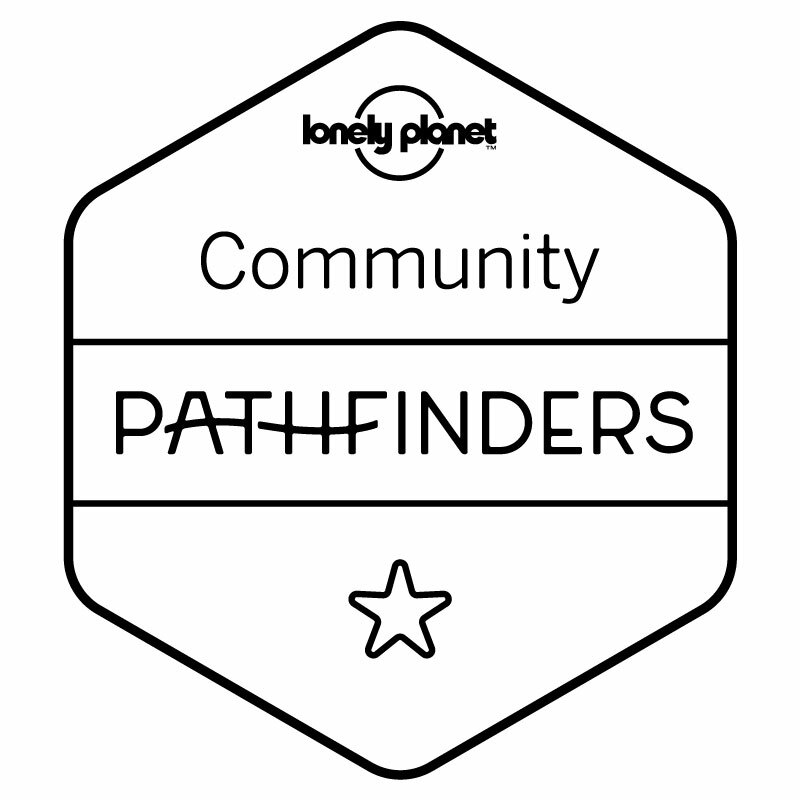 All these places are in the heart of the city and will certainly leave a lasting impression. 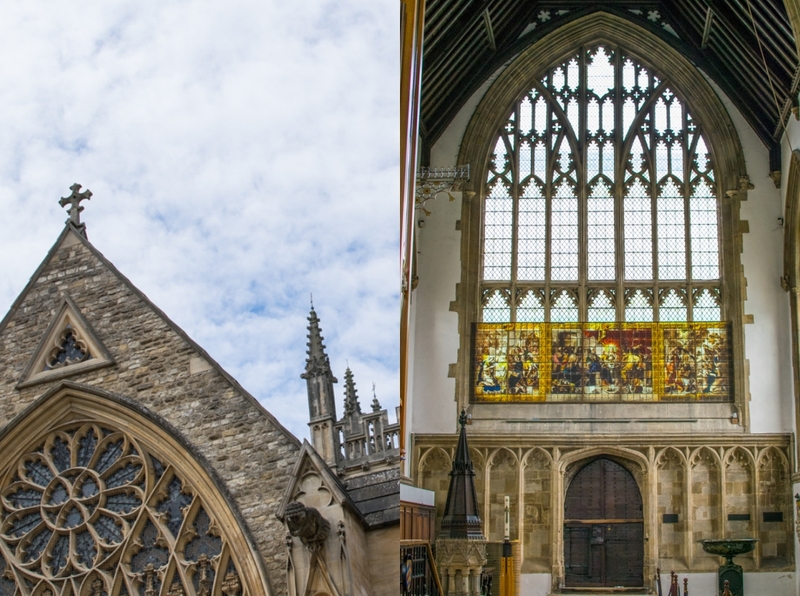 At certain times (for a small fee) you can also ascend the University Church tower to enjoy spectacular views over the city. 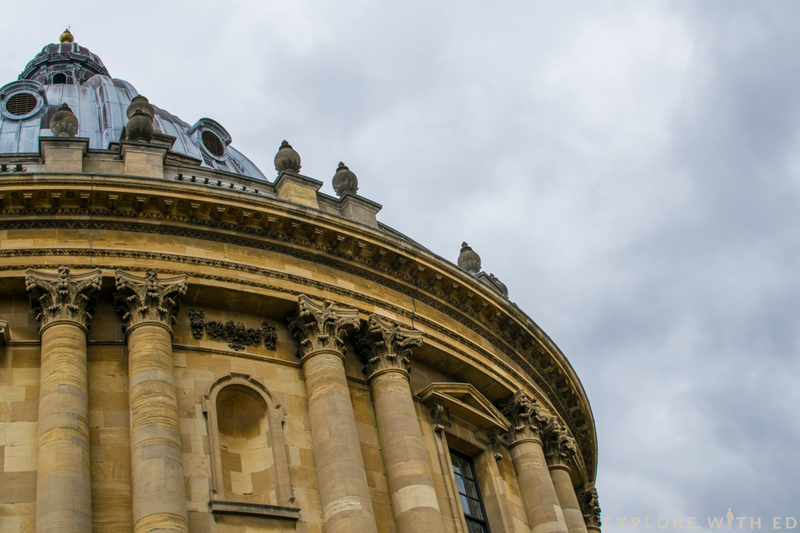 Radcliffe Camera – A University Library. 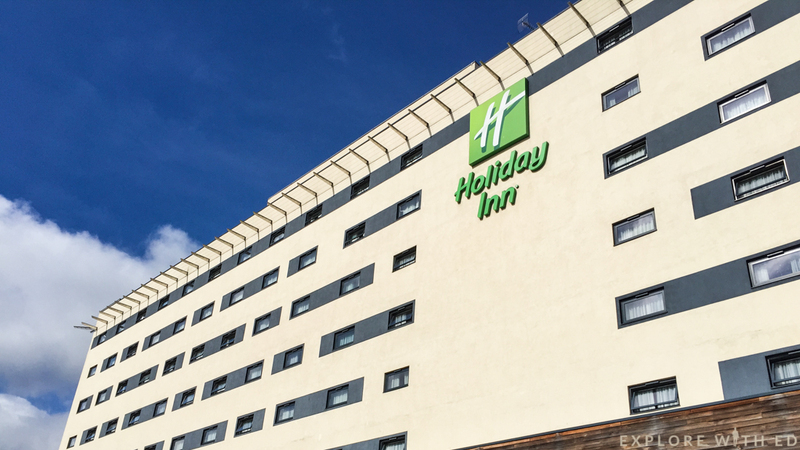 The hotel I stayed in before exploring Windsor was the Holiday Inn near Reading in Winnersh. 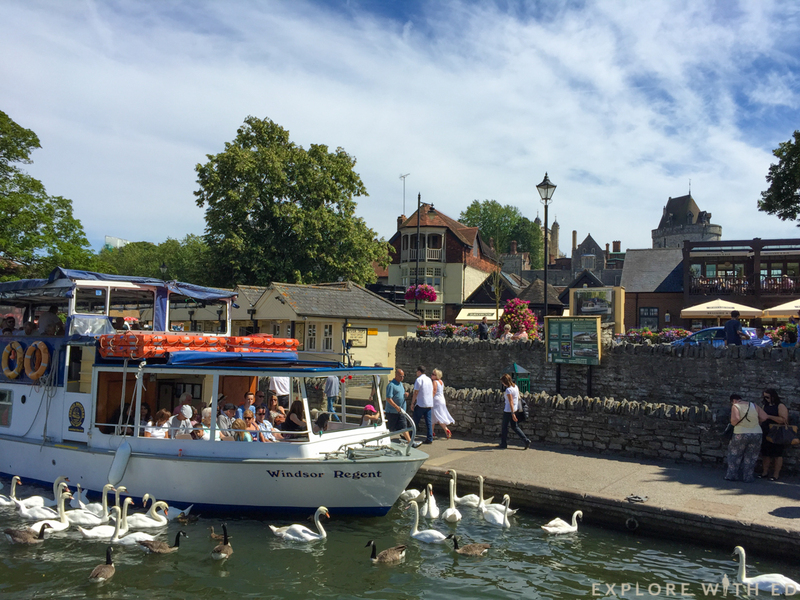 Just off the M4 motorway, it’s only around 20 minutes drive away from Windsor and Legoland. 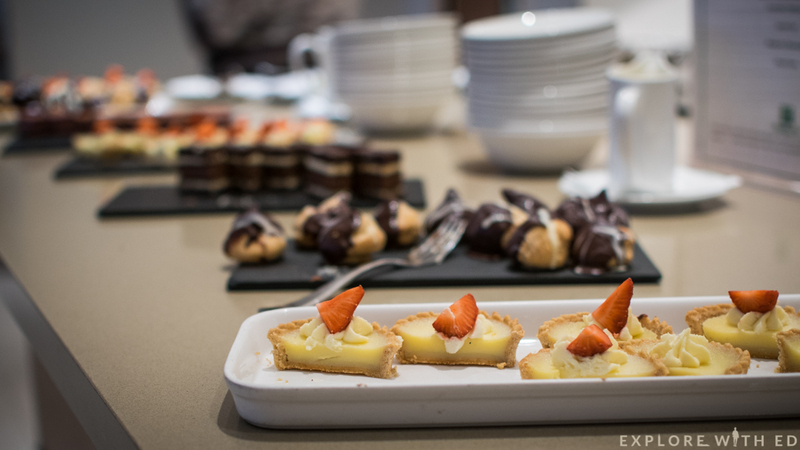 I was really impressed with the stylish rooms, buffet style meals and evening bar with live music. 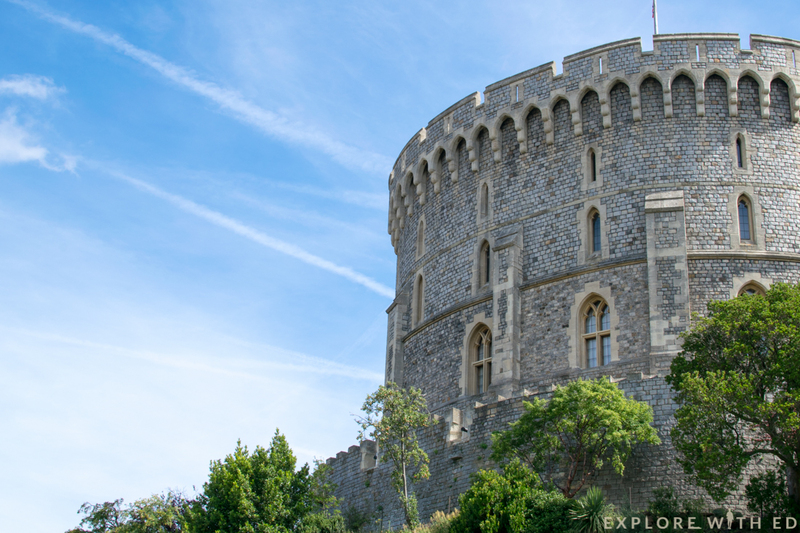 If you’re planning to visit Windsor, your trip wouldn’t be complete without a wander through the awe-inspiring castle grounds, an official residence of Her Majesty the Queen. 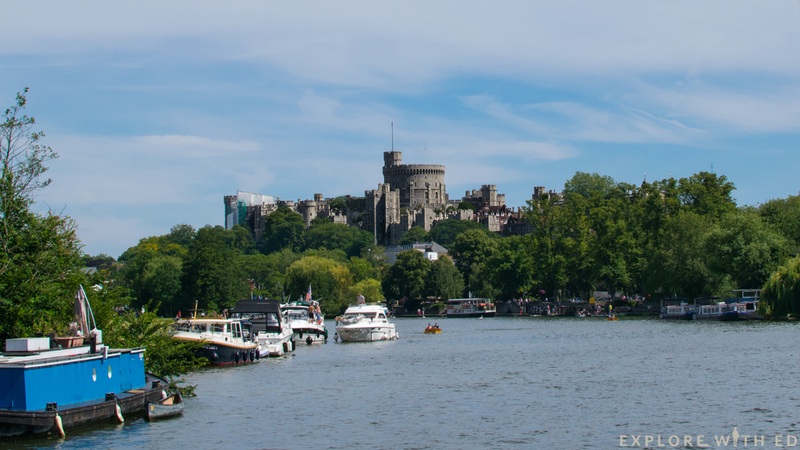 To avoid the long queues I booked online a combined Windsor Castle ticket and 40-minute river cruise along the thames. It cost just under £24 and saved around 11% on the ‘gate price’. Be aware if you purchase an offer similar to this it’s likely you won’t be able to validate your Windsor castle ticket for 12 months free admission. When you enter the castle you’re invited to have a free audio guide with headphones. 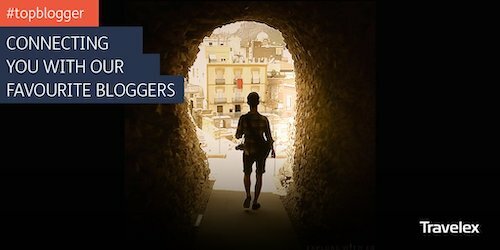 I’d highly recommend you take this up as you’ll discover so many interesting facts about the many places you’ll see along the way. 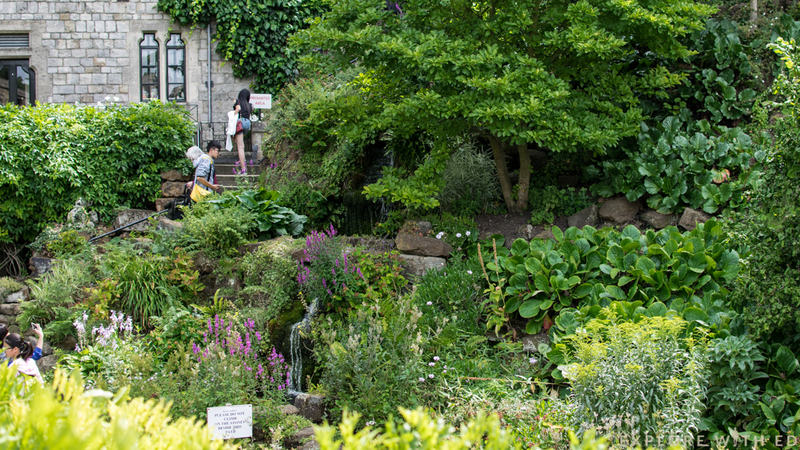 Once you’ve enjoyed the castle grounds, perhaps make a beeline to see Queen Mary’s Dolls House as I’m told this tends to get busy as the day goes on. You’re not permitted to take pictures inside, but the Dolls House and State Apartments are breath taking! There’s so much to admire and learn about in these rooms you could spend the whole afternoon soaking all its splendour. 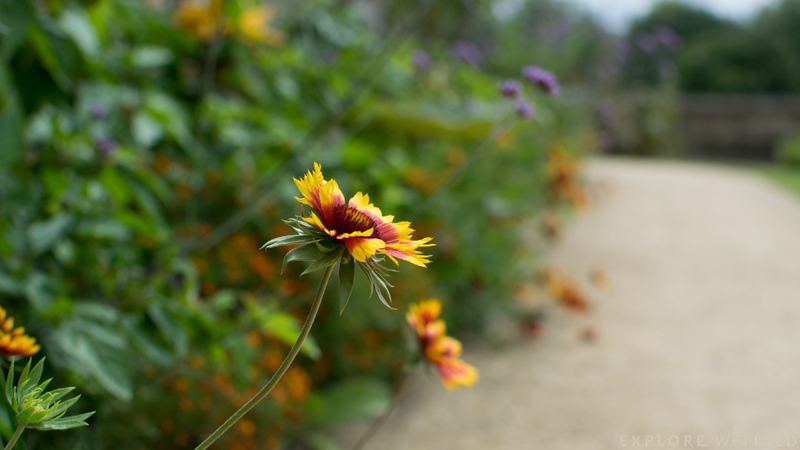 There’s also a beautiful garden to roam around before or after your castle tour. It costs an additional few pounds to enter but the proceeds go to charity. I loved the idea of enjoying a picnic on these open lawns, but I was keen to sample some local delights in the town centre in the few hours I had left. 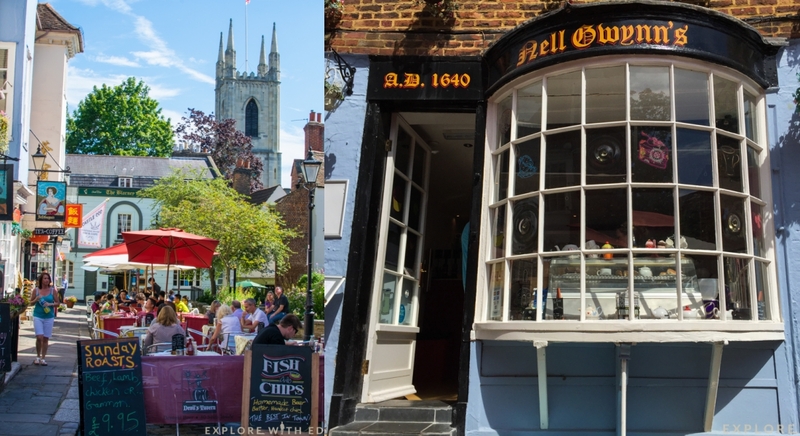 Opposite one of the Castle entrances is Church Street with a variety of cafés and pub restaurants – you’re spoilt for choice! Currently on Trip Advisor, the #1 place to eat is Limes Dine in Bakery around the corner on Market Street. 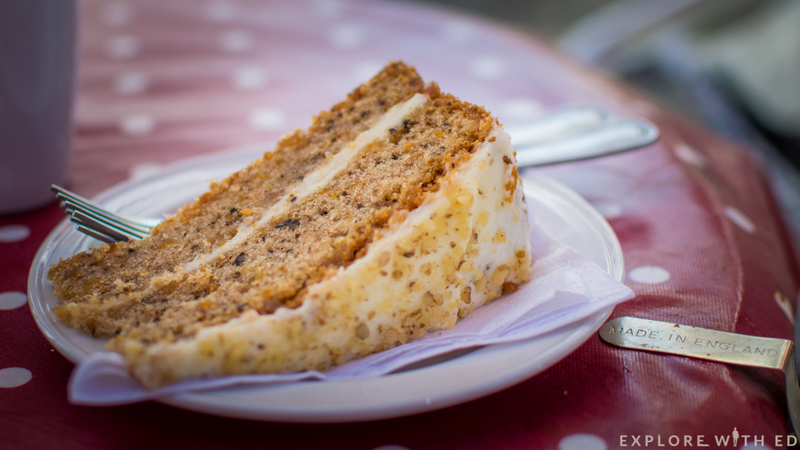 Carrot cake from Nell Gwynn’s, Church Street. Another great spot for a traditional fish and chip lunch is near the Windsor Promenade on the banks of the river Thames. 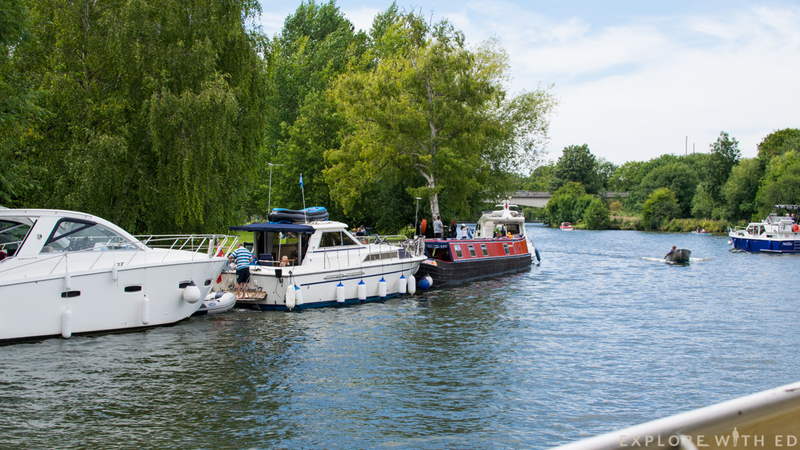 It’s here I departed on my forty minute river cruise (a longer 90 minute cruise is also available) and travelled upstream past Eton college, multi-million pound houses and a race course. 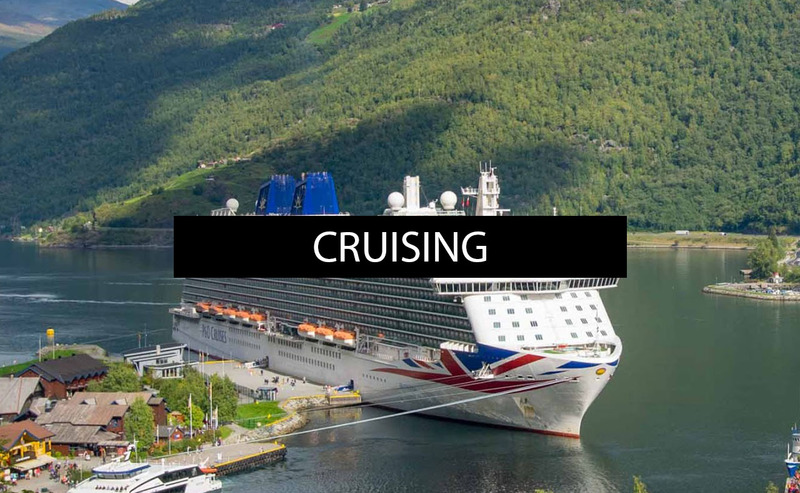 The ships speakers deliver a very interesting narration of the local history and wildlife, a perfect blend of relaxation and education. 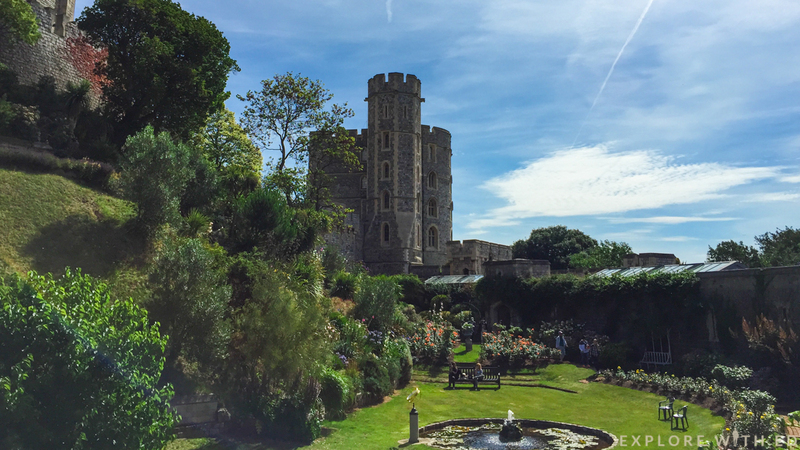 One of the final sites you see on your return to Windsor is this incredible view of the castle. From here I enjoyed bagging some last minute souvenirs in Royal Windsor Shopping arcade and market before boarding my coach home. The coach park is located a short walk from the shopping arcade past Windsor & Eton rail station. If you’re visiting Windsor by car, the official tourism website recommends taking up their park & ride service. 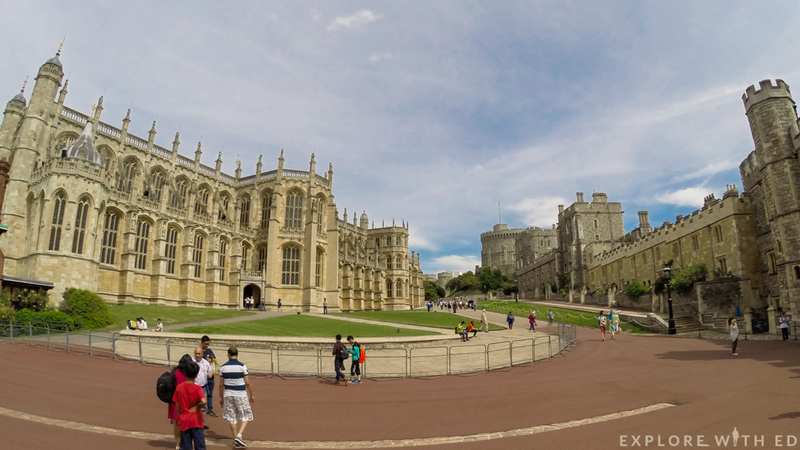 International visitors travelling via Heathrow may like to explore Windsor at the start or end of your trip as it’s only 15 minutes away from the airport via car. 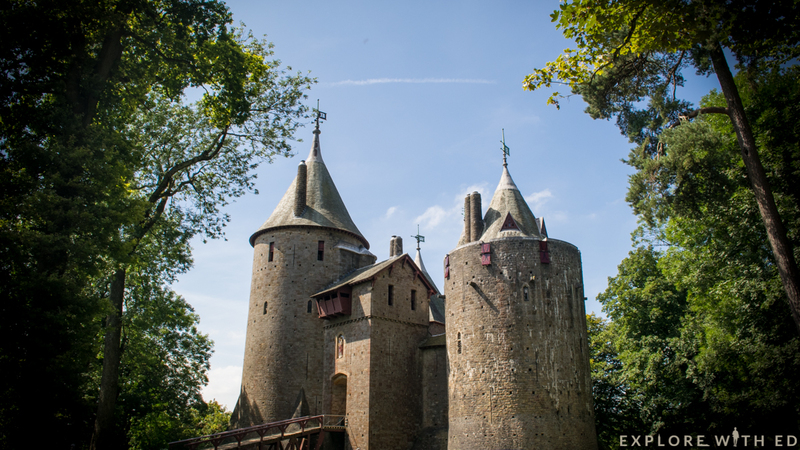 Castell Coch, near Cardiff, Wales. 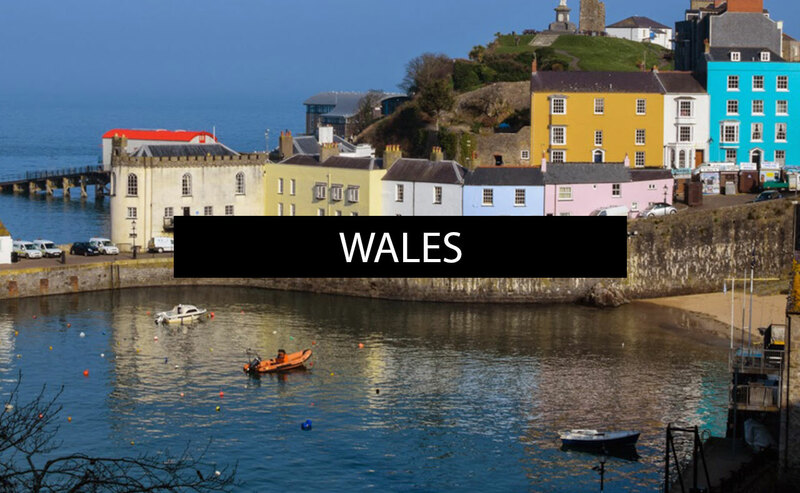 If you think this weekend break is enchanting, have a look at my other sightseeing guide on Cardiff in Wales by clicking here.